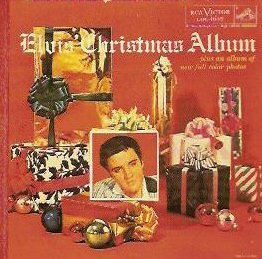 As each Christmas season approaches, I find it entertaining to look back on how Elvis’s first Christmas album was received when it first appeared in 1957. Elvis fans, of course, embraced “Elvis’ Christmas Album,” as they did every record he released in those days. However, to those adults who were already convinced that Elvis threatened the morals of the nation’s youth, an album of Christmas songs from him was especially troublesome. 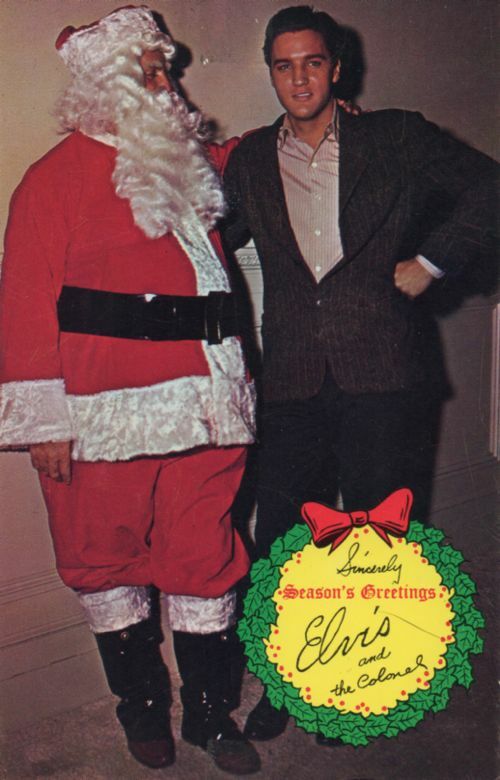 For Elvis to sing rock ’n’ roll was bad enough, but for him to step outside that category and into the traditional, religious field of Christmas music was frightening to many. Before looking at how critics reacted to “Elvis’ Christmas Album” in 1957, let’s take a quick look at the LP’s content. 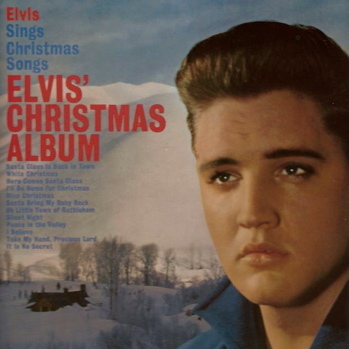 Four of the album’s 12 cuts were recycled recordings of non-Christmas religious hymns that Elvis had recorded in January 1957 and released on an extended play album in April of that year. They were “Peace in the Valley,” “I Believe,” “Take My Hand, Precious Lord,” and “It Is No Secret (What God Can Do).” Elvis used traditional arrangements on all four songs, and so, beyond the quality of his voice, critics found little to disparage in those recordings when they were included in Presley’s holiday album. 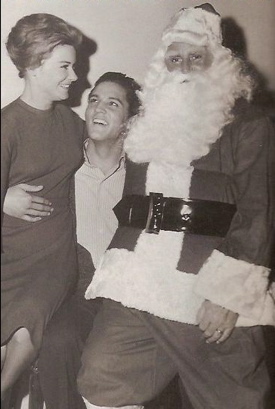 Elvis first spoke publicly of his Christmas album during a press conference in San Francisco on October 26, 1957. In what a San Francisco Chronicle reporter called “chilling” news, Elvis announced his Christmas album would be released soon. “It’ll be a rock ’n’ roll Christmas,” he told the assembled press, adding that “Silent Night” was the only song he hadn’t “monkeyed” with. The "chilling" spread quickly through the entertainment media, with even Time magazine commenting on it in November. "Elvis has prepared a surprise package for the nation that is likely to be the most serious menace to Christmas since 'I Saw Mommy Kissing Santa Claus.' Victor is planning to release an album of Yule songs by Presley, accompanied by guitar and organ, the selections including 'Silent Night' and 'Santa, Bring My Baby Back to Me.'" 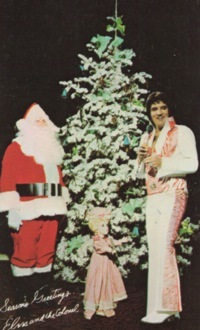 Elvis’s version of “White Christmas” closely followed an earlier recording of the song by The Drifters. Irving Berlin was said to have been so upset by this arrangement of his song that he tried to have it banned from being played on radio stations. It was from radio stations north of the border, however, that “Elvis’ Christmas Album” received the most criticism and banishment from the airwaves. This was despite Presley having played to huge crowds earlier in the year during concerts in Toronto, Ottawa, and Vancouver. In the latter city, all six of the town’s radio stations agreed to a proposed ban on Elvis’s holiday recordings. 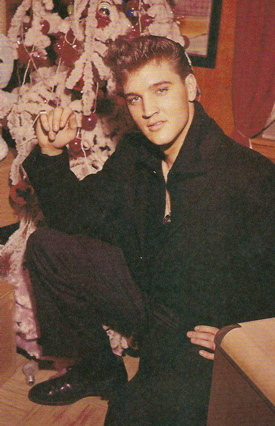 The Canadian Press, a newsgathering organization, surveyed disk jockeys across Canada and found, while many refused to spin any cut on Elvis’s album, other stations planned to play the non-religious songs, like “Santa Bring My Baby Back to Me,” while shying away from the Christmas standards like “Silent Night.” Other stations stated they were waiting for their listeners' views before making a decision on whether or not to play the album. “Elvis’ Christmas Album” reached #1 on Billboard’s album chart during the 1957 holiday season. 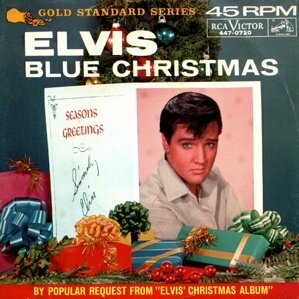 Elvis’s version of “Blue Christmas,” now considered a rock ’n’ roll holiday classic, is played on radio stations across the country every December.